It’s an excellent quote that stresses the importance of learning from our past. And there’s no better education on our history as humans – and as a planet – than in the halls of museums. But not all museums are alike. The collections at museums are often unique and hold artifacts that are either rare or one-of-a-kind. Every museum experience is different, so if you’re interested in learning about a particular era or a specific artist, you should plan your museum visits ahead of time. However, if you’re like most museum-goers who just want to wander through halls and find inspiration, here are a few recommendations. According to Aecom’s 2017 Theme Index and Museum Index, these are the most visited museums in America. You don’t have to be a space fanatic to be amazed by the National Air and Space Museum’s collection of aviation and space artifacts. As part of the Smithsonian Institution, the National Air and Space Museum is the largest of its kind – so large that its thousands of artifacts are showcased in two buildings. The main exhibit at the museum in Washington, DC opened in 1976 and follows the history and highlights of the innovation that led to American space exploration. The museum at the Steven F. Udvar-Hazy Center is a massive, hangar-like building that houses large aircraft and spacecraft, including the space shuttle Discovery. It’s a voyage through the courage and American spirit of exploration. In 1866, after a group of Americans experienced how Parisians bring art and art education to the French people, they decided that the American people also deserved a “national institution and gallery of art.” That was the moment the Metropolitan Museum of Art, more commonly known as The Met, set out to collect some of the world’s rarest and most beautiful artifacts and works of art. Over 100 years later, the Met is now in three locations – The Met Fifth Ave, The Met Breuer, and The Met Cloisters – and houses over 5,000 years of art from around the world. Among the collection are some of the world’s most recognizable works of art including Washington Crossing the Delaware by Emanuel Leutze, Vincent van Gogh’s Self-Portrait with a Straw Hat, and Claude Monet’s Bridge over a Pond of Water Lilies. 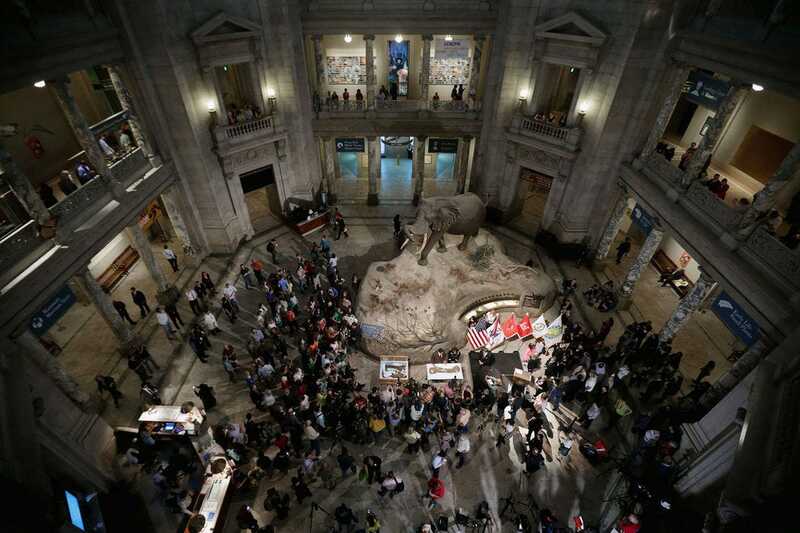 Another facility that’s part of the Smithsonian Institution, the National Museum of Natural History is 1.5 million square feet of exhibitions that educate and inspire millions of visitors per year. 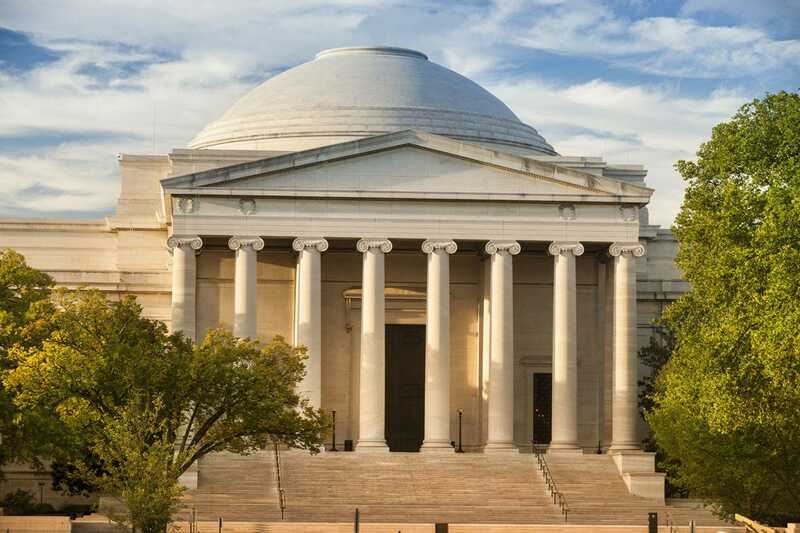 This famous green-domed museum on the National Mall houses 126 million natural science specimens and cultural artifacts. Among them are 30 million insects, 7 million fish in liquid-filled jars, 2 million cultural artifacts and thousands of fossils. The National Gallery of Art began as a gift to the people of the United States by wealthy financier and art collector, Andrew W. Mellon. In 1936, he offered to donate his art collection and use his own funds to construct a museum, and with President Franklin D. Roosevelt’s support, they built that museum on the National Mall near Capitol Hill. The halls of the museum reflect the exhibitions that are on display. For instance, the Italian Renaissance galleries are decorated with Italian travertine wainscot and plaster walls. The original donation from Andrew Mellon was a robust collection containing 126 paintings and 26 sculptures. But over the years, the National Gallery of Art has obtained more works and has expanded. 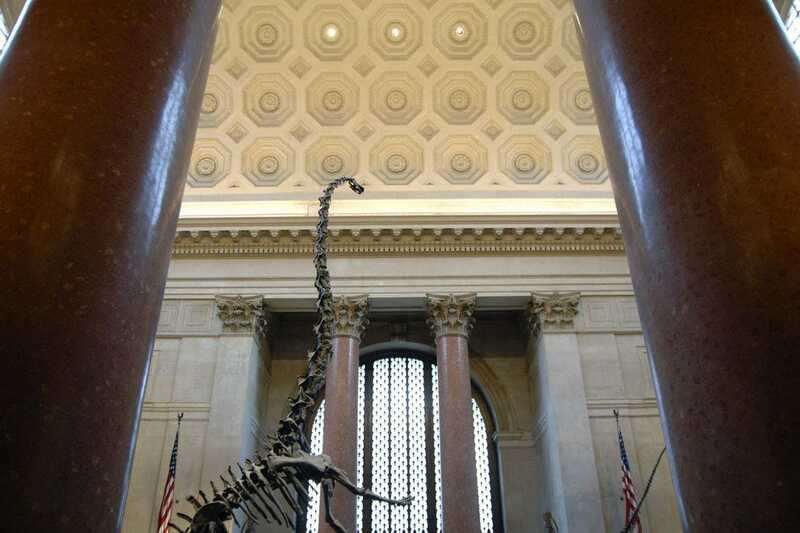 You may not have ever visited the American Museum of Natural History in New York, but you have certainly seen it. The museum has shown up in tons of television shows and classic films, like Night at the Museum starring Ben Stiller and Robin Williams. It’s not hard to see why so many filmmakers use this museum as a backdrop to their movies. Founded in 1869, its architecture is a quintessential representation of the Gilded Age. And because it’s renowned for its exhibitions and scientific collections, it’s a visually stunning and intellectually stimulating place. The 45 halls of artifacts, dioramas and displays are the most notable. Walking through these hallways feels like taking a stroll through the Encyclopedia Britannica. American history is deeper than what we learn in textbooks, and the National Museum of American History focuses on capturing the complex nuances and richness of our country’s history and culture. With 1.8 million objects and more than three shelf-miles of archival collections, the this museum takes visitors on an extraordinary journey encompassing government and politics, American innovation and business history as well as entertainment. The collection includes Revolutionary War artifacts, props used in The Wizard of Oz, and there’s even an exhibit dedicated to how Julia Child transformed American cuisine. All of this and more are important cultural elements in the tapestry of our American lives. The Museum of Modern Art, also known as MoMA, is committed to displaying contemporary art that celebrates diversity, stirs social discourse and provokes thoughtful and meaningful conversations. Curators of MoMA’s world-renowned exhibitions and events find collections that are reactionary of the times we live in while simultaneously leading the conversation and sparking new trends. The art housed at MoMA goes beyond canvas and sculpture and extends into performance as well as film. One of the newest museums within the Smithsonian Institution, the National Museum of African American History and Culture opened to the public on September 24, 2016 and is already in the top ten most visited museums in the nation. 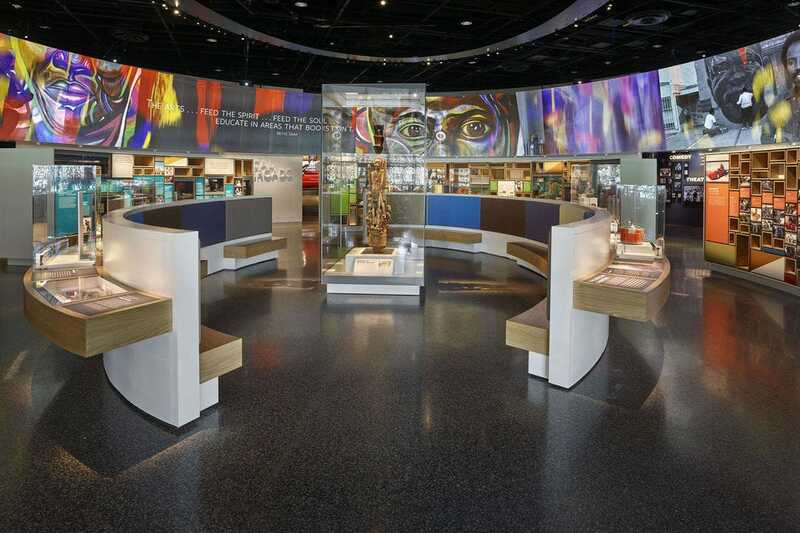 This museum not only highlights the contributions of African Americans, but also helps all Americans see the importance of these stories, inspiring through the values of resilience, optimism and spirituality of African American history and culture. The main collection displays almost 37,000 artifacts, documents, photographs and media that encompass African American music, literature and clothing, and guides visitors on a history through slavery, segregation and the Civil Rights Movement. 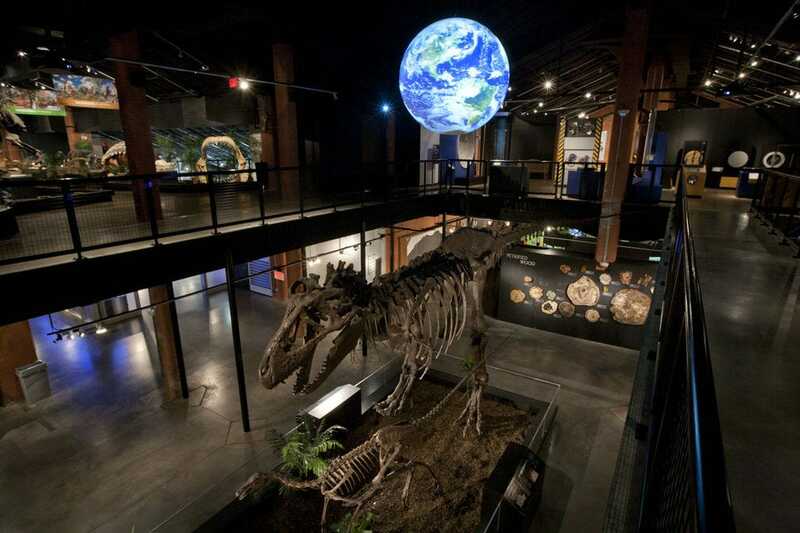 The Houston Museum of Natural Science focuses on maintaining and promoting the fields of all things natural science. Its facilities include the George Observatory, which is home to one of the country’s largest telescopes that is available for public viewing. The main building, the Houston Museum of Natural Science at Sugar Land houses exhibits including dinosaur fossils, minerals and gemstones, a menagerie of taxidermy, as well as the Hamman Hall of Texas Coastal Ecology, which serves as a facility to educate visitors about the local habitat. The California Science Center mission states that they “aspire to stimulate curiosity and inspire science learning in everyone by creating fun, memorable experiences.” By offering free general admission to its permanent exhibits, visitors can explore Earth’s different ecosystems, immerse themselves in the innovative environments that humans have created and even see real aerospace artifacts in the Air and Space Exhibits. 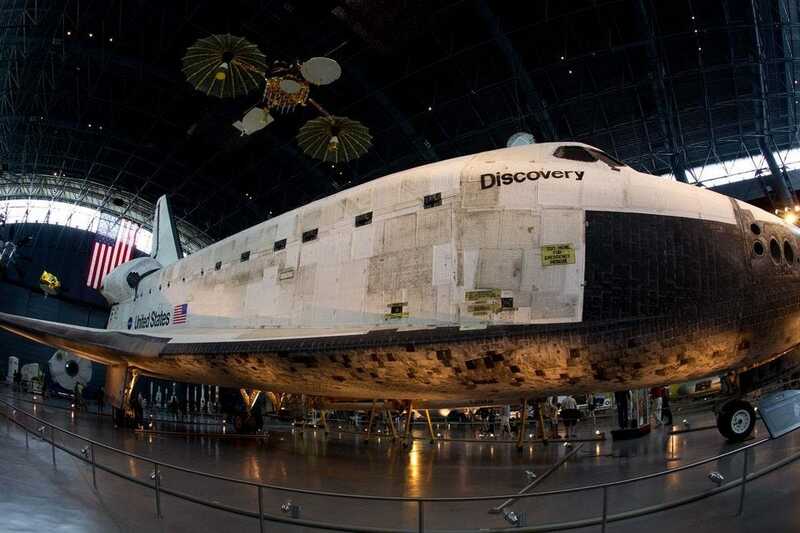 With a special exhibit or IMAX ticket, guests can schedule time to see the space shuttle Endeavour, which launched Mae Jemison, the first African-American woman astronaut to space and flew the first servicing mission to the Hubble Space Telescope.